Kylie Jenner is a famous American socialite, reality television star, model and fashion designer. Check out this biography to know about her childhood, family life, achievements and fun facts about her life. Kylie Jenner is a famous American socialite, reality television star, model and fashion designer. She rose to fame, along with her family, with the E! network reality TV series 'Keeping Up with the Kardashians', which primarily banked on her elder step-sister Kim Kardashian's high profile affairs. Kylie and her older sister, Kendall Jenner, soon became teen icons following their onscreen fame. They started to endorse a number of fashion brands, and eventually launched their own fashion line 'Kendall & Kylie'. They even ventured into writing with a ghostwritten teenage sci-fi novel titled 'Rebels: City of Indra'. Kylie began modeling in her teenage years and appeared in a number of commercials, as well as music videos by popular musical stars. She has also launched her own lipstick line 'Kylie Lip Kit' and hair extension line 'Kylie Hair Kouture'. Kylie is known to take part in various charitable initiatives. She recently became one of the top 10 most followed celebrities on Instagram. She also secured her own spin-off reality TV show 'Life of Kylie', which is scheduled to premiere on E! soon. Kylie Kristen Jenner was born on August 10, 1997, in Los Angeles, California, to Bruce (now known as Caitlyn Jenner following a gender transition surgery) and Kris Jenner. Her father is a retired Olympic gold medal-winning decathlete, and both her parents are television personalities. She is the youngest child in the extended family of her parents, including her step-siblings. From her father's side, she has three older half brothers – Burt, Brandon, and Brody Jenner – and an older half-sister, Casey. She has three older half-sisters – Kourtney, Kim and Khloé Kardashian – and one older half-brother, Rob, from her mother's side of the family. She shares both her parents with her older sister, Kendall Jenner. She initially attended Sierra Canyon School, but in 2012 decided to start homeschooling. She got her high school diploma from Laurel Springs School in Ojai, California in July 2015. Kylie Jenner started her on-screen career in 2007, appearing as a main cast in the family's popular reality television series 'Keeping Up with the Kardashians'. She has also appeared in many of the spin-off shows focused on her sisters, Kourtney and Khloé. She started her modeling career featuring on Sears "Crush Dream" Commercial in August 2010. She also showed interest in pursuing a career in acting after completing her education. Kylie, and her elder sister, Kendall, together hosted 'Glee: The 3D Concert Movie' at the Regency Village Theater in Westwood, California on August 6, 2011. On March 12, 2012, they interviewed the cast of 'The Hunger Games' at the Los Angeles, California premiere. In 2011, she, following Kendall, earned a huge sum of money endorsing two nail lacquers from the Nicole by OPI brand, named "Rainbow in the S-kylie" and "Wear Something Spar-kylie". Kylie and Kendall launched 'The Kendall & Kylie Collection' with PacSun on February 2013. The sisters followed their fashion line with 'Metal Haven by Kendall & Kylie' jewelry collection in June 2013, in association with Pascal Mouawad's Glamhouse. In February 2014, they launched a shoe and handbag line for Steve Madden's Madden Girl line. In 2013, Kylie Jenner appeared in the music video 'Find That Girl' by The Boy Band Project. In the following years, she has been featured in a number of music videos, such as 'Recognize' and 'Come and See Me' by PartyNextDoor, 'Blue Ocean' by Jaden Smith, 'Stimulated' and 'Dope'd Up' by Tyga. In 2014, Kylie, along with her sister Kendall, released the science fiction novel 'Rebels: City of Indra'. The novel was criticized by reviewers for being ghostwritten by Maya Sloan. On June 15, 2014, she made her acting debut in a promo for the 2014 'Much Music Video Awards' show, which she also hosted along with her sister Kendall. They also introduced brother-in-law, Kanye West's closing performance at the Billboard Music Awards on May 17, 2015. Kylie individually launched her hair extension line, 'Kylie Hair Kouture', with Bellami Hair, in 2015. She became the second ambassador ever for skin care line 'Nip + Fab' in March 2015. She became the face of PUMA in the fall of 2016. She again teamed up with her sister Kendall to launch their clothing line ‘Kendall + Kylie’ with British fashion retailer, Topshop, in June 2015. She launched her own website and a paid lifestyle app in September 2015, along with her lipstick line 'Kylie Lip Kit'. The E! network series 'Keeping Up with the Kardashians', in which Kylie Jenner appeared through 13 seasons since its inception, has generated very high viewership despite receiving poor critical reviews. 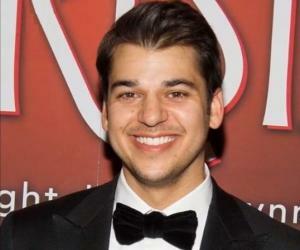 It became the network's most successful show and spawned a number of spin-off shows featuring various members of the Kardashian-Jenner clan. Kylie Jenner has been involved with a number of charities over the years. In 2013, she and her sisters raised money for the Children's Hospital Los Angeles by auctioning old clothes on eBay. The family also held a charity yard sale on November 10, 2013. On January 19, 2014, she participated in a charity bowling game at PINZ bowling alley in Studio City, California to raise money for The Robin Hood Foundation. In July and August of 2014, she and Kendall participated in singer Chris Brown's two ‘Kick'n It For Charity Celebrity Kickball’ games in Glendale, California. Kylie Jenner shared with her family the 'Choice TV Reality Star: Female' award in the 2013 'Teen Choice Awards' for their reality TV show 'Keeping Up with the Kardashians'. She also received a number of 'Teen Choice Award' nominations in the following years. In 2014 and 2015, she, and her sister, Kendall, made it to 'Time' magazine’s 'Most Influential Teens' list. Previously in 2011, they were both chosen by 'Seventeen' magazine as Style Stars of the year. In November 2011, 'usmagazine.com' reported that the then 14-year-old Kylie Jenner was dating Australian pop singer Cody Simpson, who was 7 months older than her. The two first met at 'Breaking Dawn: Part 1' premiere in Hollywood. She began dating rapper, Tyga, in September 2014, following which she appeared in some of his music videos. They went through a rough patch in November 2015, but reconciled soon after; however, they eventually separated in March 2017. The couple made news in August 2015 when he gifted her $260,000 white Ferrari 458 convertible on her 18th birthday. She received a Mercedes-Benz Maybach from him on her next birthday. She was linked to rapper PartyNextDoor in 2016 after she appeared in one of his music videos. The same year, she was seen cozying up with rapper Ty Dolla Sign at Nylon & BCBGeneration Young Hollywood Party. 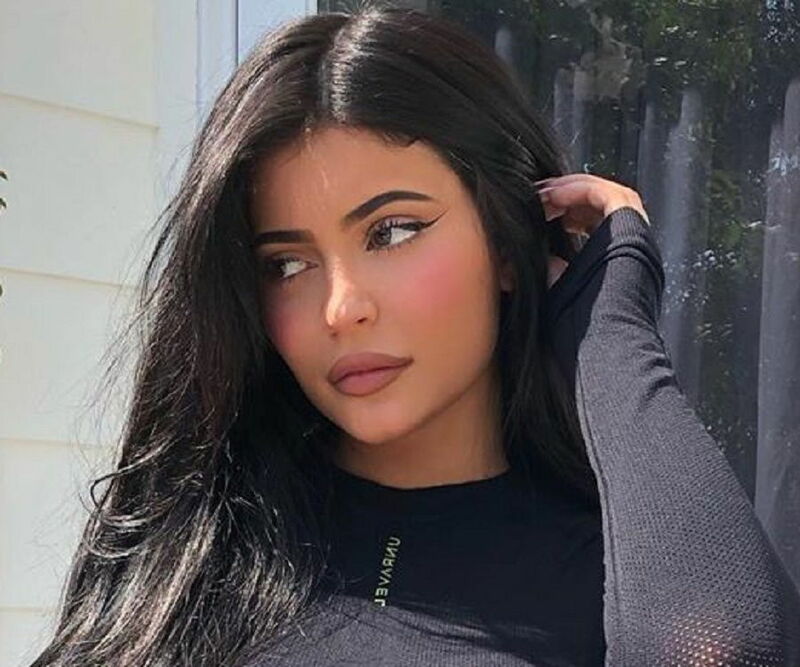 Kylie Jenner, who had previously refuted getting a lip augmentation, admitted to using "temporary lip fillers" in an episode of their family show in 2015, putting media speculations to rest. However, it raised a storm on the social media as a lot of her young followers started imitating her looks in what they called the Kylie Jenner Challenge, which often produced hilarious results. In 2015, shortly before her 18th birthday, she bought a $2.7 million five-bedroom mansion in Calabasas, California. She started living there after she turned 18.